This is a picture of the top of the post with the 2 inch ID tubing welded to the top. A hole was drilled in the side of the pipe, the nut was bolted in place to hold it, and then welded to the pipe. 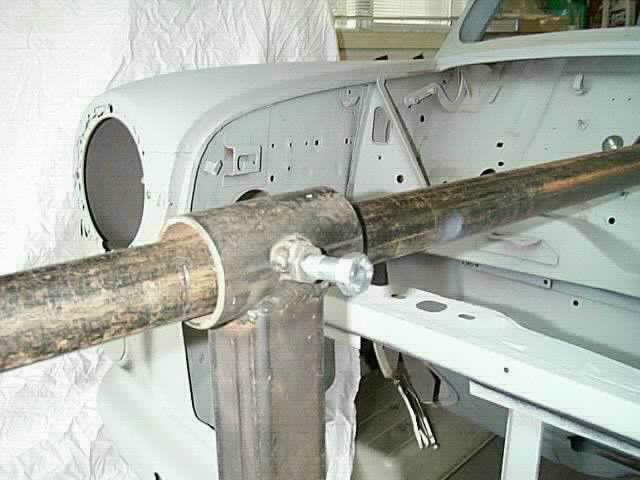 This allows the bolt to then be tightened down against the smaller pipe inside, locking the car in postion. 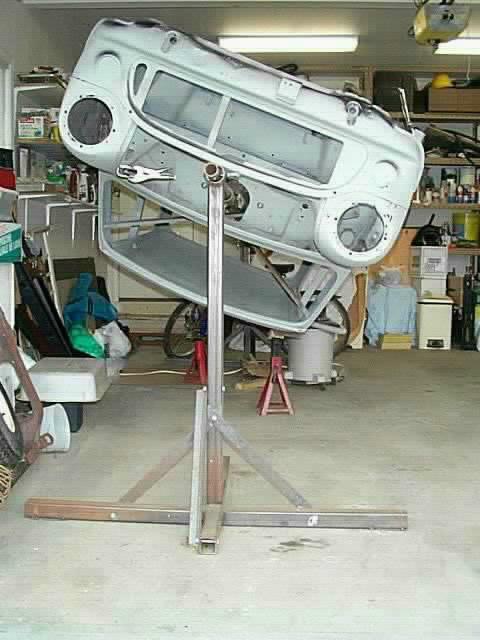 I always use jackstands to support the car in position as well as this ensures the car will not move. Safety first! You can see the jackstand supporting the car on the right side of the picture. You can also see the support tubing that has been welded inside to prevent any twisting of the body when the floor is removed. The next thing you need is the plates that attach the pivot pipe to the car. Check it out on the next few pages.